quickly released a demo that would prompt Hobbledehoy Record Co to reach out to longtime friend and band guitarist Stevie Scott, just weeks after the demo release, to work together on a debut album. Blackwire Records would later reissue the demo on vinyl, only to have it sell out soon after, as excitement for the 6 piece escalated. 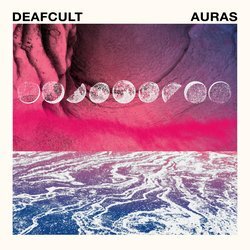 Although Deafcultgrew from a rather isolated situation and mood, ironically those same conditions are what continues to draw listeners in. Debut album coming in Winter 2017 via Hobbledehoy.